Speexx is a fully blended language training and skills assessment solution for enterprise customers, from SMB to Fortune 500. It provides online and mobile blended learning, with smart learning technology, personal coaching, training administration services and business analytics – smooth tech integration guaranteed. We call it The Perfect Blend. 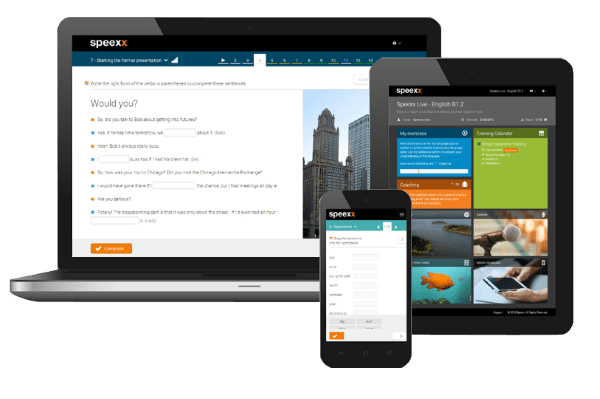 Speexx is a smart, blended learning online and mobile language training and skills assessment solution for enterprise customers, from SMB to Fortune 500. Everything starts with a test. The Speexx Language Assessment Center is the high stake language skills assessment solution for large populations fully integrated with the Speexx blended learning training suite. Confidently screen applicants and employees based on the Common European Framework of Reference for Languages (CEFR). The CEFR is the most widely-used language proficiency scale in the world. The Speexx Language Assessment Center works stand-alone in the cloud as well as with all leading Recruitment, Performance and Talent Management Systems. It combines online and oral testing with secure user identification. The Speexx testing suite is used by organizations across the world to reduce cost and administration and to speed up the recruitment process. Everything starts with a test. The Speexx Language Assessment Center is part of our blended learning system and combines flexible online and oral testing with secure user identification. Confidently screen applicants and employees based on the Common European Framework of Reference for Languages (CEFR). Speexx Assessment integrates into all leading Recruitment and Talent Management Systems. Speexx smart learning provides tools, award-winning accent reduction technology, vocabulary, pronunciation, grammar, listening and reading comprehension. Speexx is available in the cloud across all devices on PC, Mac, Android, iOS and Linux. Students use the device of choice and seamlessly switch to another without any breaks. The entire smart learning content is completely based on the CEFR and built around the needs of learners in the global workplace. Speexx blended learning provides tools, award-winning accent reduction technology, vocabulary, pronunciation, grammar, listening and reading comprehension. The entire learning content is completely based on the CEFR and built around the needs of learners in the global workplace. Speexx is available in the cloud across all devices on PC, Mac, Android, iOS and Linux. Speexx trainers are university-educated native speakers of the target language. All users have direct access to one of 1,500+ certified blended learning coaches 24/7 and they stay with their personal coach throughout the assignment. The unique Speexx coaching service supports students and keeps motivation high with weekly assigments, individual feedback, performance support, regular progress updates and even performance calls. Speexx active coaching is personalized to the learner’s specific industry and role in their organization as well as to the general study direction. Why wait for a lesson? 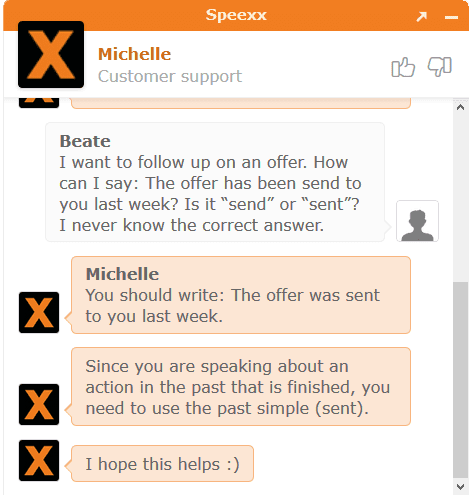 Speexx instant coaching brings real-time language feedback and support right to the workplace. Certified Speexx trainers are available 24/7 to deal with all of your employees’ learning and course related issues. Instant Coaching is available via the Speexx portal – anytime, anywhere and on any device. The Speexx virtual classroom is the perfect technology for blended learning, real-life workplace related communication with fellow students and native speakers. This part of the Perfect Blend brings the human touch to e-learning and allows students across different time zones to attend lessons perfectly timed to fit the daily work schedule. Speexx virtual classroom sessions are available for open and closed groups as well as for individuals in 1:1 training scenarios. Sometimes communication needs that little nudge to get even better. That´s why we specialize in creating, teaching and integrating your company specific content into 1:1 and closed group training. 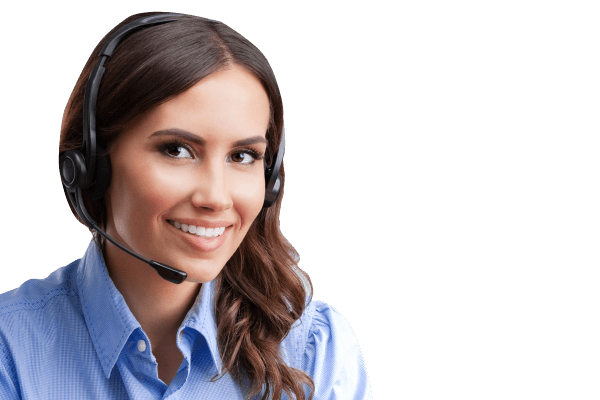 1:1 phone training is completely blended into the personal course of study. 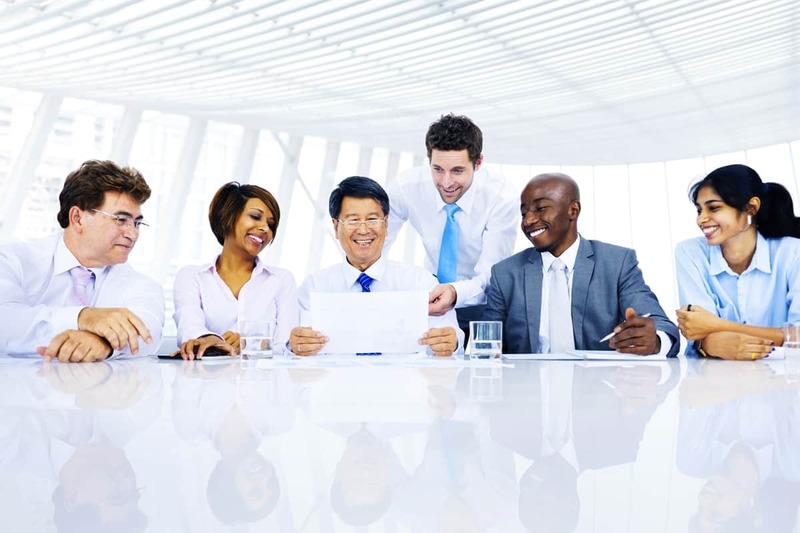 Speexx Phone training is the perfect blended learning option for key talent, traveling executives and everyone in immediate need of specific business communication skills training. Phone training is provided by the personal coach in 30 minutes sessions. Skills practiced are speaking, listening, writing, pronunciation and vocabulary. The trainer provides written feedback to students after each session. Use this flexible option to customize training and content exactly to the needs of your workforce. Choose from hundreds of business and workplace related themes or tell us what your learners need to focus on. Our experienced language training experts will provide the content and blended learning experience exactly the way you want it. Workshop sessions are exclusive to students from your organization allowing them to fully benefit from shared experience, training goals and inspiring group dynamics. Speexx will help you drive the digital transformation process. The Perfect Blend of online and mobile resources, personal coaching and face-to-face classroom training has proven to facilitate the adoption of blended learning in large corporations worldwide. 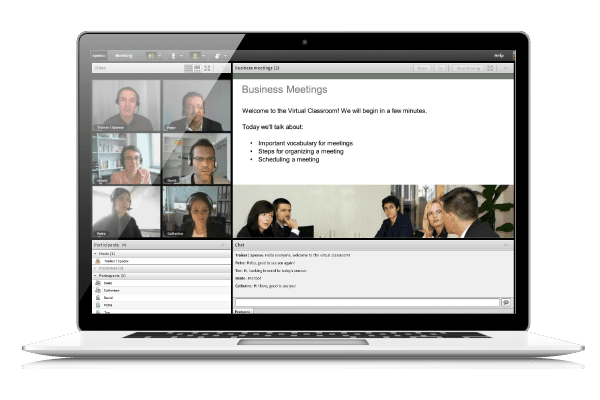 We make it happen by combining virtual training and coaching with traditional face-to-face classroom training – for groups or even one-on-one. Placement and mid-term tests are integrated into the regular course of study to identify individual skill gaps. These are the areas the Speexx personal coach will focus on when working with her students in the blended learning scenario. Passing the final test qualifies the user to progress to the next language level. 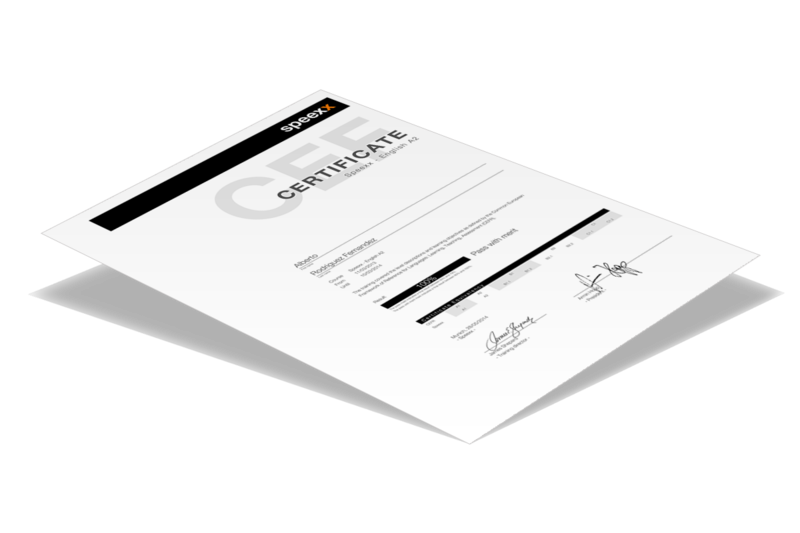 After completing a course level users will receive a certificate with detailed description of their language skills level aligned to the CEFR. 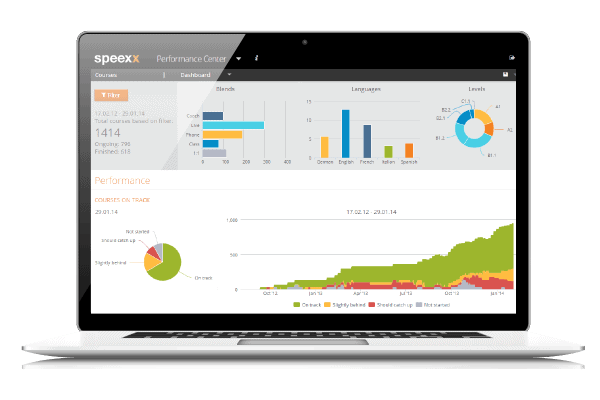 The Speexx Performance Center provides detailed reports with a set of time-saving reporting and coaching tools – for all elements of the blended learning experience. This helps you and our coaches get straight to what matters most – keep track of student progress and full control over system usage and return on investment. Just like our assessment and learning suite the Speexx admin system also integrates easily into any learning, talent or performance management system.